Schrock is a fantastic pure hitter. Where he ends up playing defense is questionable, but the dude hits and hits. I’m not happy to be trading him for a LOOGY with a 1.72 WHIP. I’m with these guys. Schrock has some impressive batting numbers and could be an average defender at 2B. He’s got some ways to go, but that’s what prospects are. A’s aren’t going anywhere this year. Time to stock up on prospects, especially by trading players in their final year like Marc Rzepczynski. Trading a soon to be FA for a 21 year old SS that can hit is a good trade. Even if he is a utility player he has more potential than watching a reliever pitch in a game that doesn’t matter if they win or lose. Definitely agree. Never heard of the prospect until this trade, but he’s put up some really good averages in his young career. Marcus Semien’s breakout at the plate all but ensures he will be in LF or RF next year. He’s also still kind of bad at SS, but the bar was lowered so low that being slightly below average makes him look like a gold glove. Luckily his power is real and the A’s need to move him ASAP so he can get the walks up and then for Barreto to come up and take over. Schrock has mostly been playing 2B now. My point is that Semien is an infielder but he’s not blocking anyone. Same goes for many middle INFers, as we saw with Ian Desmond, many can move to the OF if need be. When you’re trading a mediocre reliever on an expiring contract you’re really in no position to be complaining about the return. Nats desperately need a lefty reliever. Had a good one with lots of team control until Rivero was traded to the Bucs for soon to be free agent Mark Melancon. Rzepczynski is very dependable. The Indians could have really used him this season. Time will tell on all trades but in watching the Nats go through struggles with bullpen and knowing what Zep can do.. I would likely make that move too if I was in WAS shoes. I guess my question here is, and in the future will be, were you willing to give up a good, recent third-day draft choice to get him? I really hope the two-way logic in this trade influences armchair GMs out there. Look beyond the Top 30 prospects. I love this trade. I’ve been banging the drum for trades like this for years. I’ll explain why, as dispassionately as possible. Schrock, who I’d never heard of before this morning, is an ideal return for an expiring contract like Zep. He was drafted in the 13th Round in 2015. Therefore, he was clearly among the top 100 or so third day selections in the 2015 Draft. Which means, he has talent. To boot, he has done well as a professional. If you had a third-day guy with those numbers (.800 + OPS in each of three stops), you’d likely consider him found money. Since I often look straight at third-day choices, most teams have “Max Schrock-types” in their system. In every draft class. No, they aren’t in the Top 30 prospects, necessarily. However, if Schrock takes his bat to the A’s system, and keeps up the .800+ OPS stuff, then experts will be quizzed on why they were late on him. Every pipeline ought to add between five and ten guys on the third day with the potential of being Max Schrock-like by the end of his first full campaign. 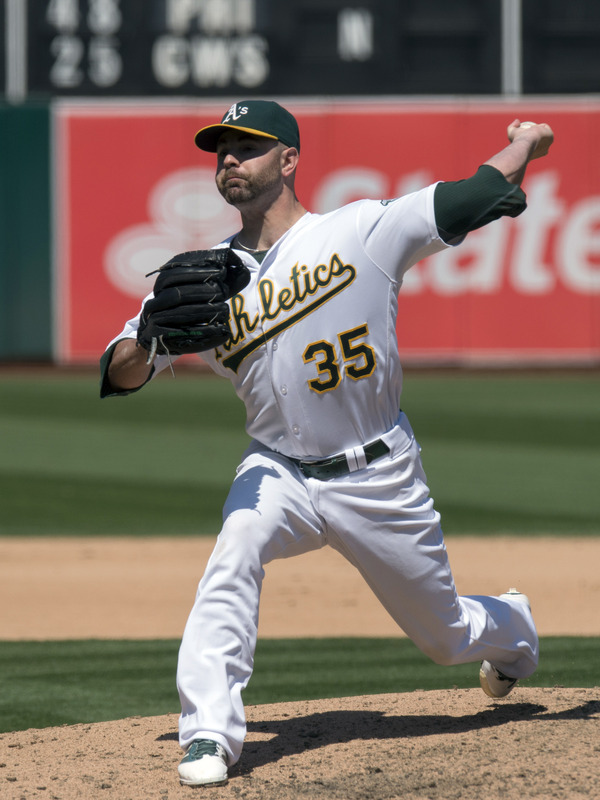 If Schrock fizzles a bit along the way, which is likely, he remains in the A’s system for five full seasons, likely. If a dude has played well as a third-day choice for 14 months, he might become the next Matt Carpenter. Or whoever you de facto third day choice is. At some point, your team (whoever that is) will likely have a need. My drum beat recently has been Cubs RP//SP Trevor Cahill. Enough playoff contenders are “one starter short” enough that I figure Cahill might make more sense than “that guy from Triple-A”. No, you don’t want to trade your eighth-best prospect for a month an change of Trevor Cahill. Nor should you. If the goal for an expiring contract is “your version of Max Schrock”, it seems rather acceptable for both sides. The team with a short-term need gets a possible useful piece. And the other side gets a good professional player, with two years before his Rule 5-eligibility. May it be a trend. It sure beats a PTBNL that never gets named. If they aren’t named, they are cash. Correct. I’d much prefer my side gets a player with some pro success and two years until Rule 5-eligibility to a $10,000 or so cash payout that nobody hears the amount on. Can you name some of the good big league day three players active today? I know a lot of eventually good players get drafted late as high schoolers then go to college, get drafted higher, and become stars. But can you name like a dozen guys from the past 15 years who have been drafted day three and signed and ended up having good careers? Peter Bourjos, Matt Joyce, Scott Van Slyke, Chris Carter, Andrew Bailey, Yonder Alonso, Tommy Phan. Those are just from 2005. Not stars by any means but solid contributors. I’m not a Cardinals guy. I’m a Cubs guy. But if one team can strip-mine day three, your team can, as well. I’m a minor league guy, and am routinely amused by third day guys outplaying Top 50 picks at the A-Ball level. The talent is out there. If your side develops it to the point where you get a wins-above player every two or three years, it’s like finding money. Having guys, like Schrock, who are productive, eases the burn on early choices that get hurt. Or never develop. If you aren’t interested in player development, third day guys aren’t for you. However, the 2014 Cubs added Chesny Young, Brad Markey, and Zach Hedges on the third day. They have all had good seasons in 2016 in Double-A. If your side isn’t getting quality from the third day, they’re missing out. Plus, asking for a quality/recent third-day pick is an armchair GM’s way of respecting their opponent. Especially when trying to craft a deal for an expiring reliever contract. Instead of claiming a Top 12 Prospect is a proper swap. Know your system. And, if you want to trade for someone from the (for instance) Phillies, familiarize yourself with their recent third-day picks. Nobody thought Matt Carpenter was all that. Until he got better than he was in college. Only time will tell if the Nats sold low or high on Schrock. But hot damn, I really feel like they sold way to low on him. Beane will be happy with this trade..
Schrock is a great player. Got to watch him at USC. Only reason he was a 13th rounder was each year he would be hurt for at least half the season. He is a great get for a rental. Thanks for the added intel. Yes, thanks for the insight. You mean like the time he gave $30M to Billy Butler? Moneyball came out in 2002, its time we all moved on from this narrative. A’s have rich owners willing to spend but no player wants to play their home games in a pitchers park with sewerage problems. Cleveland should have re-acquired him, then again I think the Nats gave up too much. Scrabble, that’s a good nickname for him, all those letters. LOL..
Obviously a lot changes in a few years, but I played with Schrock on and off from about 2008-2012. We saw some very solid pitching overall (Rodon, Benton Moss, Max Povse, Will Gilbert, among others). Absurd bat speed, beautiful swing, and great pop for a small guy (not sure what he’s listed at now, but he was no more than 5′ 8″ his sophomore year at USC). The kid could hit BOMBS. Good command of the zone and capitalized on mistakes. I thought he had somewhat limited range (splitting time between SS and 2B at the time). Not the best arm but he mitigated that somewhat with a very quick release. I don’t claim to be a projector of talent, but I wouldn’t be shocked to see him develop decent power given the development paths of other young prospects. Seems like a great haul for a LOOGY rental who hasn’t gotten lefties out this year. There’s talent all over the country. And it runs deeper than two or three rounds every year.